Photoshop users: this workshop is for you! This Photoshop course was created specifically for users like you — people who are eager to expand their Photoshop knowledge immediately and economically. Don't waste your precious time and money on bulky tutorials or endless classroom sessions. Learn everything you need to know in just one day! 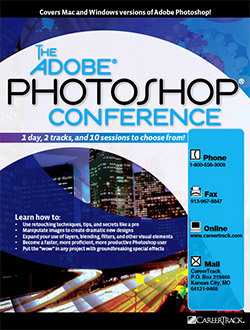 This multifaceted seminar offers Photoshop fundamentals for novice users as well as advanced creative solutions for seasoned professionals. With its unique and practical track format, this Photoshop training makes it possible for users at every level to gain a personal, customized arsenal of new techniques, tips and ideas for getting the most out of Photoshop. This program gives you your opportunity to arm yourself with the state-of-the-art design tools you need to create eye-opening graphic elements ... to discover how to seamlessly integrate Photoshop imagery into your design projects ... and, once and for all, to get "on track" for unparalleled success. You'll find it easier to produce even the most complex images once you know your way around Photoshop's advanced retouching, layering, blending, 3D and distortion techniques. You'll no longer hesitate to incorporate images, design elements and ideas you previously passed up as too difficult to figure out or too time-consuming and complicated to create. Best of all, you'll cement your reputation as a creative professional whose graphic designs are consistently eye catching, provocative and unique. In just two hours, you'll learn all the essentials to complete the most common Photoshop tasks. This session is perfect for Photoshop beginners, or those who feel they need a firmer foundation in the basics. Non-destructive editing is a powerful Photoshop feature that can save both time and frustration. Never re-do another project because someone needs a few "minor" changes that result in starting over from scratch. Use transform tools to distort images and make composites look natural. Easily scale, move and fill in problem areas with content aware tools and upsize and downsize images correctly. Learn how to avoid common mistakes, crucial text and shape layer tips to make your projects look more professional, and the little touches that give a project an extra bit of polish. In this session, you'll learn how to harness the power of layers and masks, make quick selections using the right tool for the job, and drastically reduce files size--all while making your job easier. 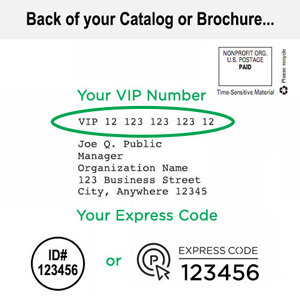 Develop the best color management system for you to ensure consistent color from device to device and program to program. Understand the myriad of brush options to mimic traditional bristle brushes, erodible tips and artistic techniques and soft-proof to output devices, color modes and profiles. In session 3 learn how to use filters to focus your viewer's attention where you want it, disguise or correct flaws in an image and make artistic enhancements. Set-up workspaces and preferences to match the way you work. Create and modify actions for repetitive tasks. Use scripts and batch processing to speed up your workflow.